Carol Bruns a familiar fixture in Dumbo, often seen on her bicycle. 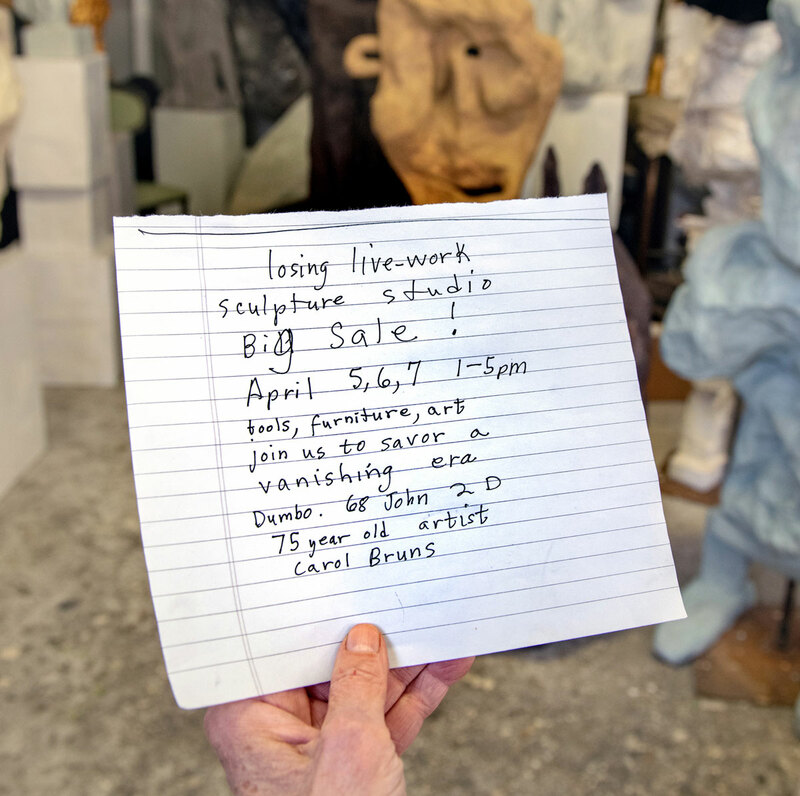 will be packing up her drawings and sculptures this month as she prepares to leave the neighborhood that she calls home. Without specific plans as to where she will go, or how she will continue to create art in New York City she states that she is not alone. 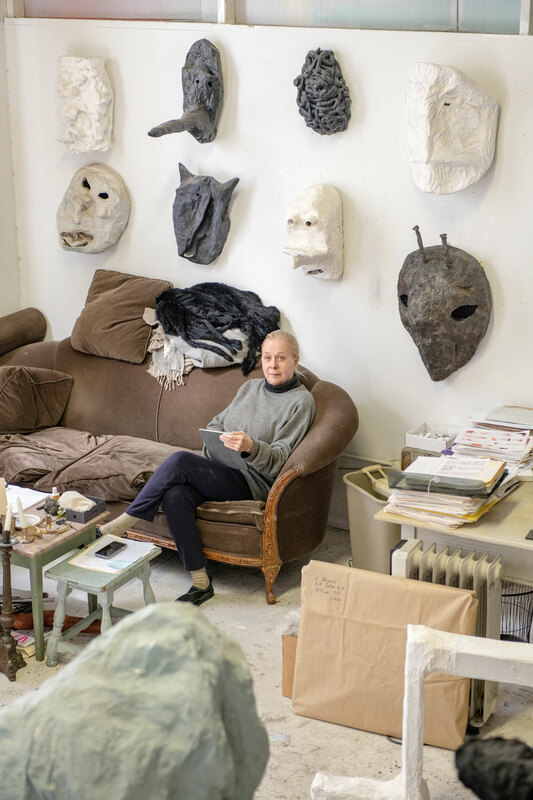 She will be conducting a sale of her drawings and sculptures at 68 John Street, 2nd floor. The dates of the sale are April 5th, 6th and 7th between 1-5.pm . Her e-mail address is ce.bruns@icloud.com. To learn more about Carol Bruns work, read her bio below. Carol Bruns was born in Des Moines Iowa in 1943 and graduated with a Fine Art degree from NYU in 1966, going on to study painting and drawing at the Art Students League in New York and Academie de La Grande Chaumiere in Paris. Bruns lived in Paris from 1967 to 1968, present and influenced by the moral and political events of May '68. Before that she had marched in Selma, Alabama for the Civil Rights Movement and in the anti-Vietnam War movement. She lived in the East Village until 1971, and Soho from 1973 to 1994 when she moved to Dumbo in Brooklyn. Her outlook has been forged in the revolutionary energies of the 60s, active politics, and the freedom of experimental approaches to art making in the 70s. Other components of her worldview are formed by a longstanding practice of yoga, and work with dreams. These influences shaped her pursuit in art to consider fuller dimensions of the human subject. 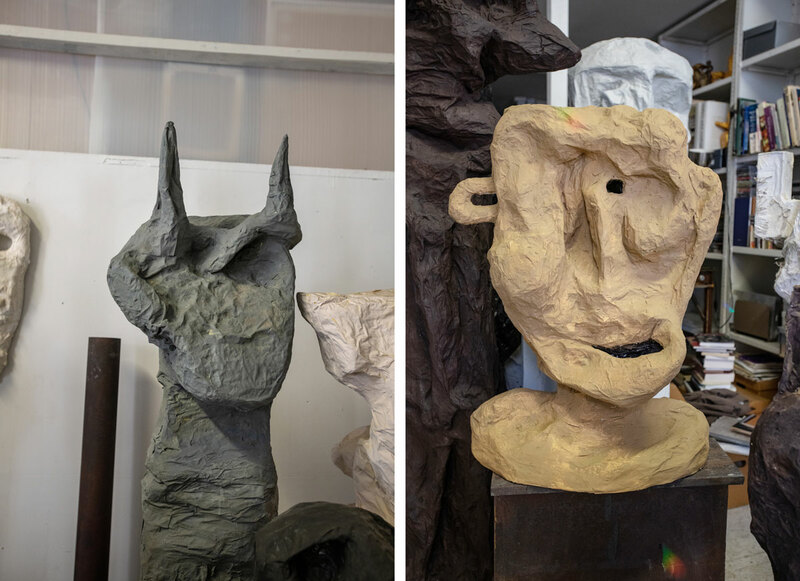 She first exhibited in 1975 at OK Harris Gallery showing shaped wall works made from found supports and thin, colored plaster, the original gesso. 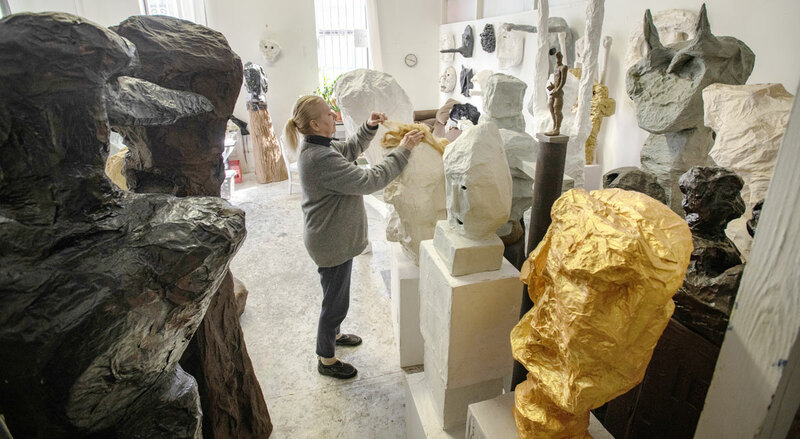 After twenty years of painting, her work turned to sculpture in wax and cast bronze. Around 2000 she began a series of steps leading to the invention of a new technique in hollow paper and gesso which continues to this day. The sculpture's process accesses deep layers of the unconscious in a collaboration between intention and the voice of the material and process. The archetypal, primal characters that emerge assert a mythic presence, aesthetic values, and often point to political conditions. Ms. Bruns continued to exhibit and curate. Her most recent shows were at The Parlour Bushwick in 2015, Sculpture Space in Long Island City in 2017 and a solo show at SRO Gallery in Brooklyn in 2017-18. This spring she will be showing drawings at Courtside Gallery, Knoxville, Tennessee and at TSA Gallery in NYC. Over the decades, she continued to show in New York and Atlanta, and received numerous commissions from prominent New York architects and designers.